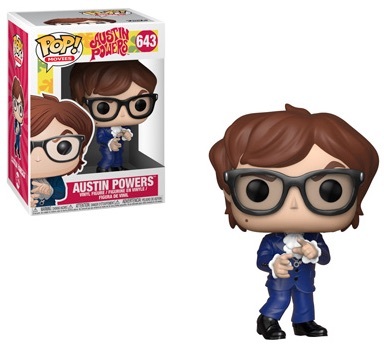 Stay groovy, baby, with Funko Pop Austin Powers. The vinyl set pays tribute to the International Man of Mystery with a few different options. Featuring comedian Mike Myers as Austin Powers, the '70s British secret agent is dressed in a groovy blue suit, ruffled shirt and large glasses. GameStop has an exclusive variant of Powers in a red suit. 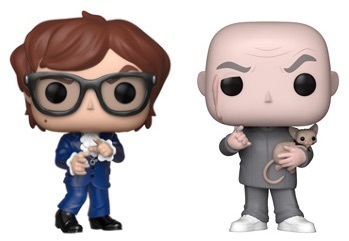 Shop Funko Austin Powers Figures on Amazon. Powers' archnemesis Dr. Evil, also played by Mike Myers, offers his trademark bald head and menacing finger pose. The evil look is completed with his cat, Mr. Bigglesworth, resting against his chest. Waiting to assist Powers is Vanessa Kensington (Elizabeth Hurley). She closes out Wave 1 of Funko Pop Austin Powers in a silver dress. 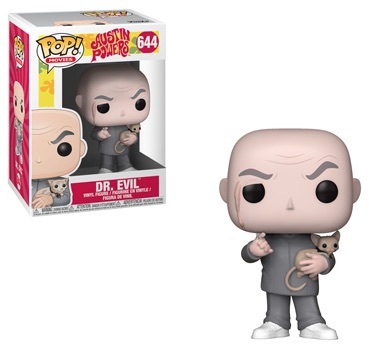 Given there are multiple films in the Austin Powers franchise, not to mention the many colorful characters, Funko Pop Austin Powers has plenty of room to grow. Austin Powers - Vanessa Kensington Pop! Vinyl - FunKo Free Shipping!